I would call this a feel good episode. 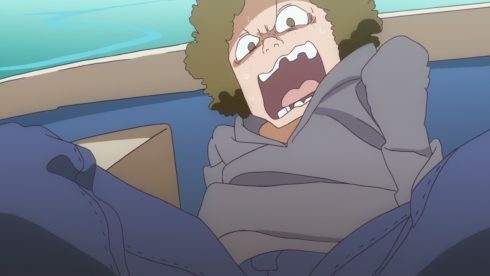 After last week there was hope that the show would continue Akko’s character development and it did. 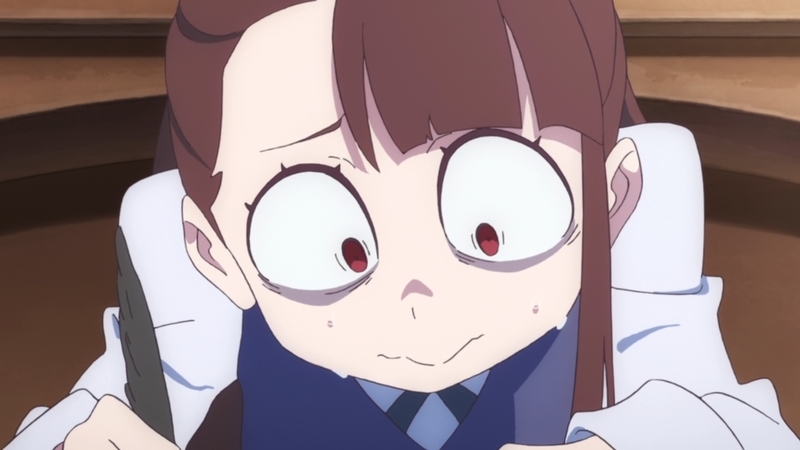 Of course there is only so much improvement Akko can make, but this managed to show that she is improving. If only her mindset changed and not her abilities then it would seem pointless for her to even be trying. All this shows is that she does have a long way to go to catch up with her peers, but that she has the ability to do it. If she works harder than everyone else she’ll catch up. 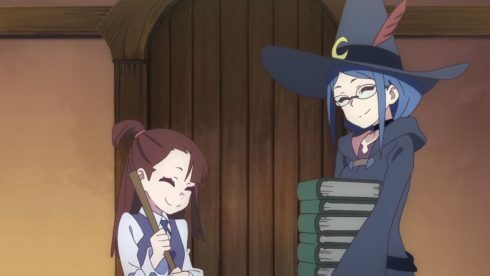 Ursula made an accurate point that Akko has already made real progress in comparison to her start point. Now I get the idea that schools generally judge students against their peers and a standard curriculum. But it was Luna Nova that changed the status quo first. The moment they accepted a total outsider like Akko they had to change their perspective slightly. Akko can’t realistically catch up to her peers in an extremely short amount of time. It doesn’t matter how much or little potential she has, that’s just asking the impossible. Yes if she hasn’t reached a certain level by the end of the year then they’d have to consider things. But, at this point if Akko has shown progress (and she has) then they should simply continue to give her time. 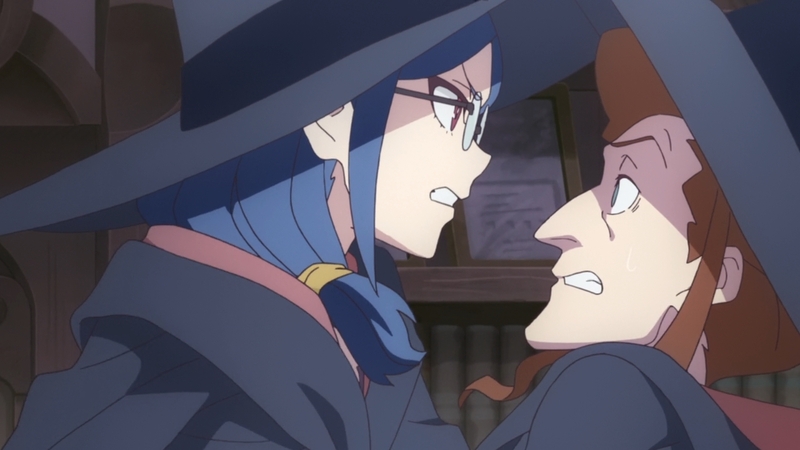 A good thing Ursula was on Akko’s side and really defended her at the end there. 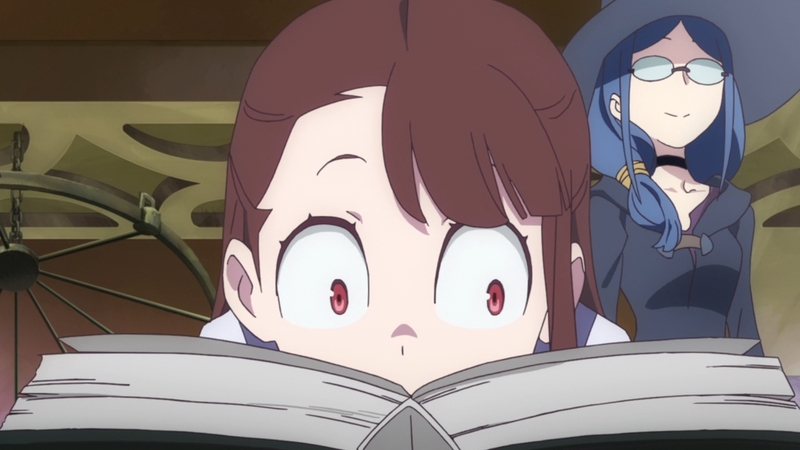 Akko was still Akko in this episode. The girl is still a bundle of energy and reckless. I wouldn’t want to see that change for the world. But it is clear she’s got work to do in terms of catching up. At points I was a bit worried that they weren’t giving her any growth here. But when you look at it…she has. Sure, her scores overall are pretty mediocre/bad, but she’s maturing. Sure fixing a spoon seems pretty weak, but she did it properly. She also improved on manipulating objects when she opened the fish trap. Not to mention her transmutation has gone beyond simply turning her ears into other animal ears. She didn’t completely become a fish, but she got much closer. Her flying…is still non-existent, but she has passion XD. 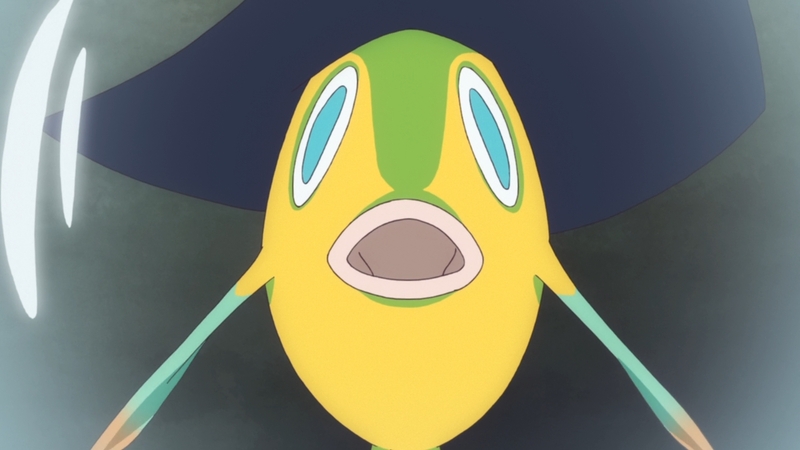 It is certainly ironic how Akko manages to perfectly show in action what Professor Pisces was trying to test XD. Akko showed plenty of altruism in trying to save those fish even though it left her without magic to transform herself back until they actually got back to the school. She also showed reciprocal altruism with members of another species perfectly well. 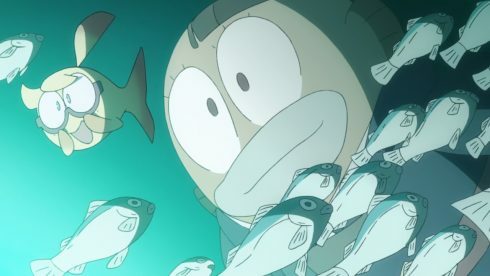 She helped the fish out, that ended up helping her find Professor Pisces and in the end actually saved Akko’s hide back at school. Of course it is very much like Akko that the reason she was able to pass was because she nearly murdered her professor. Dumping mineral water in with a fish…was an interesting plan on Akko’s part. I suppose it’s a good thing her Professor survived or else expulsion would have been the last thing on her mind. Of course trying to bribe her teacher caused all that trouble in the first place. 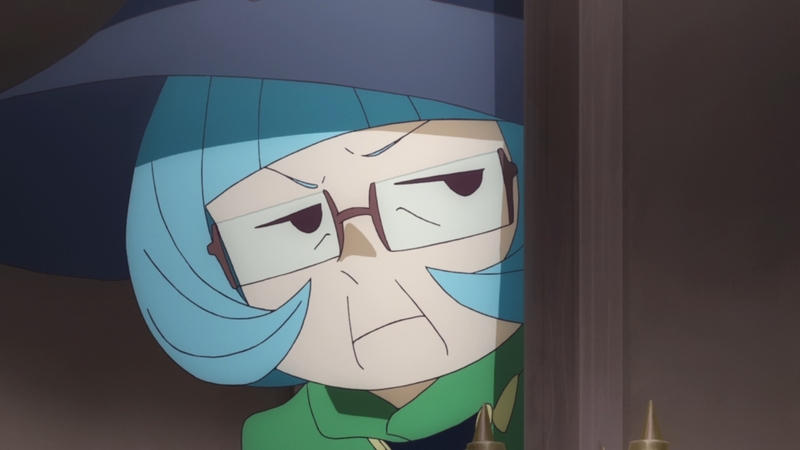 But that is Akko. She makes her own messes, but she somehow manages to get through it. Life just would be too boring at that school without someone that crazy causing chaos. 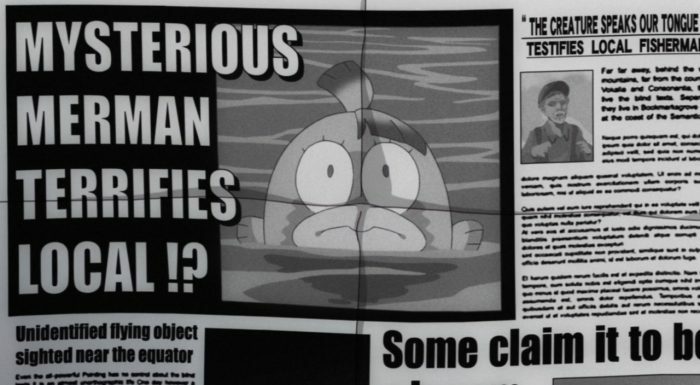 This was also a good development episode for Ursula. Of course they are still dropping the heavy hints about her identity and it makes you wonder why she is a teacher right now. Either way it was just nice to see her stand up for herself and her students. I’m not sure if she’s been hesitant as an attempt to cover up her identity or because she is just nervous as a first time educator. Akko needed Ursula to be in her corner and she was. 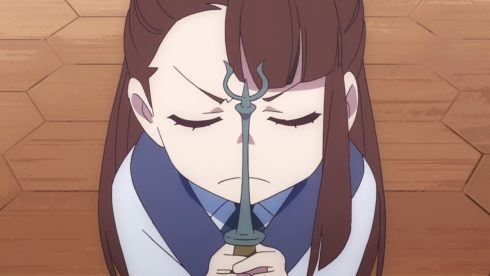 Of course they got additional help to avoid Akko’s expulsion, but I do think the headmaster took that passionate defense into consideration. 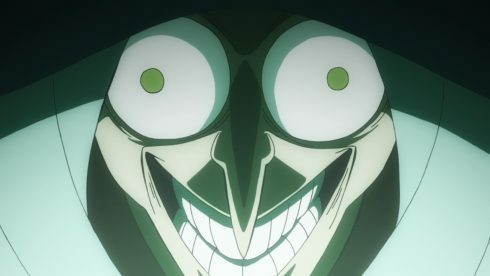 In the end I can’t say this was a bad episode. It helped develop Akko’s character and actually did carry on what was set up last week. 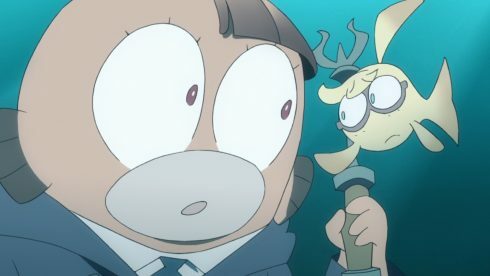 Everyone was shocked, but Akko did learn something from that fountain. If she wants to be like her idol then she has to put in enough work to catch up. 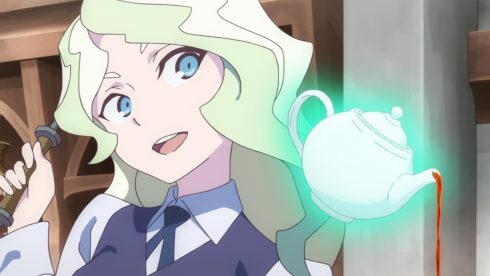 Knowing that Chariot herself put in that kind of work should be more than enough to spark Akko’s desire to learn and improve. She hasn’t caught up to everyone, but she’s making enough progress that this should keep sparking her development. She is seeing how is it possible to improve and heck she even helped improve the school’s reputation already. One of the major problems for magic is the lack of creative usage or public attention. Akko stopped a poacher thanks to her use of magic this time. Good episode.